Wondering if you are eligible for Medicaid in the state of Ohio? Go online to check eligibility, view your account or renew your benefits. Their website has a schedule of central Ohio clinics where adults can get free and low cost vaccines, including flu vaccines and travel vaccines. Pays for the care of children with handicaps and special health care needs under age 21. Families may receive full BCMH coverage or be eligible for the BCMH cost-share program, depending on the circumstance. You must apply for and use other health insurance first. Visit the website to locate BCMH providers by county. Provides medication, health screenings, health and wellness education, medication counseling, and social program referrals at no cost for low-income, uninsured, and under-insured individuals. The CRC Family Services help is provided in many areas including food, housing, health care and transportation. The Youth Services – Kids Club is an afterschool program for youth in grades K-5 at various locations. They offer homework help, tutoring with a reading specialist, individual reading time, and activities that foster youth’s development of appropriate social skills. The Kinship Care Program supports relative caregivers of children who cannot be cared for by their parents. The program helps children avoid placement in a non-related foster home when parents are absent. Provides walk-in immunizations for children and teens less than age 19 at a minimal cost at the Parsons Avenue location and at the Worthington United Methodist Church. Many insurances are accepted as well. No child is denied if not able to pay. Go online for a complete schedule of hours and printable handouts. People with long-term disabling conditions may apply for SSI. Children can qualify if they have a physical or mental condition that seriously limits their activities, and if their family has a limited income. Generally, a child may receive benefits as well if they are the child of a SSI beneficiary who is disabled or deceased. There is no minimum age. The benefits pay for many services, including doctor and hospital visits. The Benefit Eligibility Screening Tool (BEST) helps you find out if you qualify and how to apply. Provides funding for children with health-related needs when insurance and other financial resources have been exhausted. Applications must be submitted online, and they cover expenses such as wheelchairs, assistive technology, vehicle modifications and clinical procedures. Offers vaccine clinics throughout Columbus for children under age 18. Vaccines are available at a low cost (or sliding fee scale) for children, and no one will be turned away due to an inability to pay. Visit the website for their clinic schedule and list of clinics that offer travel vaccines. Appointments are required. This website will help you learn about the Affordable Care Act (ACA), apply for benefits, compare costs, and find local health navigators. This is for you if you are uninsured or buy your own insurance, spend more than a certain percentage of your pay on insurance or are a small business owner. Provides information for young adults, families and professionals related to foster care, health and health insurance. Healthy Foster Care America is an initiative of the AAP (American Academy of Pediatrics) and its partners. Provides medical care to people with incomes at or below the poverty level or on disability medical assistance. Applicants must be residents of Ohio but do not need to be U.S. citizens, and applicants must not be eligible for Medicaid. Information about these programs can be obtained from Columbus area hospital’s financial assistance department. Go online to find Medicaid providers (medical and dental) in your area, a description of available Medicaid benefits, and questions and answers to your health insurance questions. Call the toll-free hotline to find out more information about the programs and how to apply. Provides health care for teens ages 11 to 21, including primary care and consultative services for gynecologic/reproductive health, chronic unexplained symptoms, eating disorders, drug testing, a medical opiate addiction program, STD & HIV screening, ADHD, behavior and general teen health issues at several locations throughout Columbus. Offers home medical equipment and supplies in a convenient retail space. Samples of equipment include: bathroom aids, breastfeeding pumps, special bottles, braces, orthotics, walking aids (like crutches, cans and walkers), stethoscopes, blood pressure monitors, phototherapy blankets and more. 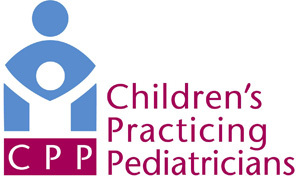 Provides comprehensive well and sick care for children and teens at many locations throughout Columbus. The South High Primary Care Center provides care to adults as well. They accept most insurances, including government insurances (Medicaid, Caresource, Molina), and provide financial assistance for people without insurance who qualify. The website provides information describing services available at each Urgent Care location, when to go the Urgent Care, what you should bring and more. You can go online to find out estimated wait times at each location. All of the locations provide lab and x-rays as well. Provides information about prescription resources, including discount drug cards, government programs, low cost clinics, patient assistance programs, disease-based prescription help and programs for children. A one-stop place where Ohioans with a low to moderate income can check eligibility for benefits such as child care help, home energy assistance, free tax preparation services and children’s health care insurance. Click on QuickCheck to find out if you are eligible for benefits. Once determining eligibility, you can find a Benefit Bank near where you live. Waivers are programs that help Ohio Medicaid customers with special needs remain at home instead of being in a nursing home, hospital or facility. They provide financial assistance to families, and there is typically a waiting list. Services may include personal care, transportation, respite services, supported employment, nutrition services, assistive devices, home modifications and interpreter services. See further information about Ohio waiver programs below. The Ohio Department of Insurance (ODI) offers financial assistance programs for people covered by Medicare. Click on the Ohio Medicare Savings Program guide for a list of information. Provides a free discount program for the costs prescription drugs for individuals and families. They share a listing of prescription drugs, participating pharmacies and mail-order pharmacies and compares pharmacy prices. Free discount cards can be found at various locations throughout Ohio or printed directly from the website. Go online to learn about prescription medications that are free or low-cost and a list of participating pharmacies. They also provide information about savings cards, HIV/AIDS programs, diabetes supplies, service animals, Medicaid and patient assistance programs. Help financially and medically qualified patients, get direct financial help with co-payments, co-insurance and deductibles needed by the patient’s insurer for medications prescribed to treat and manage their disease. Services are free. Pharmacists, physicians and the patients can inquire and apply on behalf of the patient. Project L.O.V.E. (Love Our Kids…Vaccinate Early!) is a partnership between hospitals, area physicians, the City of Columbus, Franklin County health departments, local businesses and community organizations whose goal is to assure that Franklin County children are fully immunized. Go online to find out more information about why immunizations are so important, and what immunizations you should get. A nationally recognized, web-based medication assistance resource center. Individuals can go online and search for specific medications to see what financial help is offered for that medication. They also have a comprehensive online directory of national patient assistance programs. A website that guides patients in affording medications, through patient assistance programs. They can determine if you are eligible for patient assistance and then help you with the online application process. Click below for a list of local travel clinics. They provide international travel vaccines. Appointments should be scheduled at least 6 weeks prior to departure. Parents and physicians may also call the CDC Travel Hotline during the week for recommendations. Provides medical grants to help families access and pay for health care services that are not covered by their family’s commercial medical insurance plan. The medical insurance plan does not have to be through UnitedHealthcare. Learn more and apply directly on their website. Provides health care advocacy and support. They assist Ohioans in finding affordable health care options, prescriptions and hospital care throughout Ohio. Their website provides information on free clinics and community health centers, Columbus hospital clinics offering financial assistance and other resources. What Vaccines Do I Need for School? Are you asking yourself what vaccines you need for school? Like most states, Ohio has very specific guidelines about which vaccines are mandatory for school attendance. Students can be held from attending school if they are not up-to-date. Click below to find the most recent list of required vaccinations. A free nationwide program that offers discounted brand name and generic medications. Apply online or by calling the toll-free hotline. There is no enrollment fee. Medications covered can be checked online.